Ausiello: Stop asking yourself who dies and start asking yourself who does the killing. That’s what people will be talking about the following morning. Ausiello: A flashback in this season’s fourth episode unearths a “big secret that will change the course of the season for everybody,” teases EP Julie Plec. Ausiello: I’ve got some info on three guest-star roles that’ll show up the CBS procedural during the upcoming season. The eccentric Dr. Blackwell is a big-deal space geologist who weighs in on some mysterious material the feds bring him, and Ellie is an upper-middle-class lady who blames herself for her father’s death a decade ago and is shocked when new information tells a different story. But wait, I saved the best for last: The show’s looking for a 50-ish male to play an aging one-hit wonder from the late 1970s who blew his earnings in the ’80s and has been skirting creditors ever since – and if it works out, an actual rock star from that era will get the part. Do you love watching TV? Do you enjoy good family drama? Would you want to help make television history with a new kind of story for TV? Well, now is your chance! My friend Chris Lilly is working on pre-production for a pilot script called “Just Us Guys” that he wrote and plans to produce independently. But, like so many small projects he needs financial backing to make it broadcast quality. “Just Us Guys” is about a gay father (Scott) who has a best friend relationship with his straight son (Max). But this isn’t a coming out story or an adoption story. This is a wholesome dramedy about a family. Scott and Max are both comic book geeks. They are very much into pop culture and are a lot of fun to be around. Though in his early 30s, Scott is a big kid while Max is more of the adult in the relationship. As Chris shared, “a story like this has never been told on television before, but you have the chance to help me make television history”. His budget goal is $40,000 so that he can hire professionals with access to high quality equipment. If you would like to support this new project, you can donate any amount you wish by visiting “Just Us Guys” at Indiegogo. Once there you will see that there are incentives for the level of donations you make. Every penny counts! You can also “like” “Just Us Guys” on Facebook and follow them on Twitter to help spread the word. 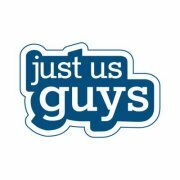 Production on “Just Us Guys” is tentatively planned for November. Again, any support you can provide would be much appreciated. Ring of Fire focuses on what happens when an oil rig causes a volcanic eruption in a small town, triggering the Ring of Fire that stretches across the globe. If these cataclysmic series of eruptions cannot be stopped, the earth will be swallowed whole, leading to an extinction level event. The cast includes Michael Vartan (Alias), Lauren Lee Smith (CSI), Terry O’Quinn (Lost) and Agam Darshi (Sanctuary). Eve of Destruction stars Steven Weber (Wings), Christina Cox (Blood Ties) and Treat Williams (Everwood) in a story about two scientists, who attempt to discover unlimited energy. But their experiment is hijacked and sabotaged by eco-terrorists. The result is a dark energy black hole that could destroy the planet. Delete imagines a disaster in our all-too-fragile digital world where the web becomes dangerously self-aware with one systematic purpose – to destroy mankind. Faced with possible extinction, there is only one way out – create a second artificial intelligence, just as alive, just as intelligent and just as dangerous. The cast includes Keir Gilchrist (United States of Tara), Matt Frewer (Eureka), Janet Kidder (The Killing), Erin Karpluk (Being Erica), Gil Bellows (Ally McBeal) and Ryan Robbins (Sanctuary). NOTE: There will be a marathon of episodes of Awkward on MTV. Check your local listings for airtimes. The oh-so-wimpy Greg Heffley (Zachary Gordon) gets himself into more mischief when he spends the summer working at a country club. The cast includes Steve Zahn, Rachael Harris and Devon Bostick. This is a remake of the 1990 film starring Colin Farrell, Kate Beckinsale, Bryan Cranston, Jessica Biel and Bill Nighy. Kay (Meryl Streep) and Arnold (Tommy Lee Jones) is a devoted couple, but decades of marriage have left Kay wanting to spice things up and reconnect with her husband. When she hears of a renowned couple’s specialist (Steve Carell) in the small town of Great Hope Springs, she attempts to persuade her skeptical husband, a steadfast man of routine, to get on a plane for a week of marriage therapy. The fourth film in the franchise will focus on a fellow estranged assassin (Jeremy Renner). The cast includes Edward Norton, Rachel Weisz, Joan Allen and Albert Finney. This film is an inspiring, magical story about a happily married couple, Cindy and Jim Green (Jennifer Garner and Joel Edgerton), who can’t wait to start a family but can only dream about what their child would be like. When young Timothy (CJ Adams) shows up on their doorstep one stormy night, Cindy and Jim–and their small town of Stanleyville–learn that sometimes the unexpected can bring some of life’s greatest gifts. The cast includes Ron Livingston, Dianne Wiest and Rosemarie DeWitt. The film follows a single cataclysmic day in the life of Eric Packer (Robert Pattinson), a 28-year-old financial whiz kid and billionaire asset manager as he heads out in his tricked-out stretch limo to get a haircut from his father’s old barber, while remotely wagering his company’s massive fortune on a bet against the Chinese Yuan. Co-stars include Samantha Morton, Paul Giamatti, Juliette Binoche, Sarah Gadon, Jay Baruchel and Kevin Durand. This 3D stop-motion comedy thriller focuses on a small town that comes under siege by zombies. The voices will be provided by Kodi Smit-McPhee, Casey Affleck, Tempsett Bledsoe, Jodelle Ferland and John Goodman (among others). Musical prodigy, Sparkle (Jordin Sparks) struggles to become a star while overcoming issues that are tearing her family apart. From an affluent Detroit area and daughter to a single mother (the late Whitney Houston), she tries to balance a new romance with music manager, Stix (Derek Luke) while dealing with the unexpected challenges her new life will bring as she and her two sisters (Carmen Ejogo and Tika Sumpter) strive to become a dynamic singing group during the Motown-era. Barney Ross (Sylvester Stallone), Lee Christmas (Jason Statham), Yin Yang (Jet Li), Gunnar Jensen (Dolph Lundgren),Toll Road (Randy Couture) and Hale Caesar (Terry Crews) — with newest members Billy the Kid (Liam Hemsworth) and Maggie (Yu Nan) aboard — are reunited when Mr. Church (Bruce Willis) enlists the Expendables to take on a seemingly simple job. Cast includes Jean Claude Van Damme and Arnold Schwarzenegger. This film is about Charlie Bronson (Dax Shepard), a nice guy with a questionable past who risks everything when he busts out of the witness protection program to deliver his fiancée (Kristen Bell) to Los Angeles to seize a once-in-a-lifetime opportunity. Their road trip grows awkwardly complicated, when they are chased by the feds (led by Tom Arnold) and increasingly dangerous, when Charlie’s former pals, a band of gangsters (led by Bradley Cooper), enter the fray. Co-stars include Beau Bridges and Kristin Chenoweth. A crooked cop (Michael Shannon) pursues a New York City bike messenger (Joseph Gordon-Levitt) carrying a dubious package. The cast includes Jamie Chung, Aaron Tveit, Dania Ramirez and Lauren Ashley Carter. This film is the true story of the infamous Bondurant Brothers: bootlegging siblings who made a run for the American Dream in Prohibition-era Virginia. The loyalty of three brothers (Tom Hardy, Shia LeBeouf and Jason Clarke) is put to the test against the backdrop of the nation’s most notorious crime wave. The cast includes Gary Oldman, Guy Pearce and Jessica Chastain. This film focuses on a group of passengers who encounter what appears to be a supernatural force while on a transpacific flight. The cast includes Ryan Kwanten, Leslie Bibb and Christian Serratos. Martin Blake (Orlando Bloom) is a British medical student who has come to the United States to begin a residency at a hospital in Southern California. Blake is handsome and charming, but beneath the surface he’s an arrogant man who longs to wield power over others. He doesn’t fare well with his first few patients, and is on shaky ground with his superiors when he begins treating Diane (Riley Keough), a beautiful teenage girl with a kidney infection. Diane is clearly taken with Blake’s good looks and they enjoy one another’s company, while his superiors are impressed with the care he’s taken with her. But Blake doesn’t want Diane released too quickly, and begins adjusting her medication to that her infection will take longer to clear up. Jimmy (Michael Pena), an orderly, notices what Blake is doing, and threatens to expose him unless he wants — a steady supply of pharmaceuticals. The cast includes Rob Morrow, Taraji P. Henson, J.K. Simmons and Troy Garity. Shortly after her parents (Jeffrey Dean Morgan and Kyra Sedgwick) divorce, a young girl purchases an ornate antique box at a yard sale. In the weeks that follow, the young girl forms an intense fixation on the box, her behavior growing increasingly bizarre as she falls into the grip of a diabolical apparition. When the girl’s father discovers that the relic is in fact a holding cell for the disconnected soul of a deceased person who has been denied entry into the afterlife and needs a human host to inhabit, he fights to rid her of the evil that threatens to consume her body and soul. The cast includes Natasha Calis, Madison Davenport and Grant Show. In an isolated, slowly dying mining town, children are vanishing without a trace – abducted, the townsfolk whisper, by a mysterious entity known locally as “The Tall Man.” Town nurse Julia Denning (Jessica Biel) seems skeptical until her young David disappears in the middle of night. Frantic to rescue the boy, Julia lives every parent’s darkest nightmare. Co-stars include Jodelle Ferland, Stephen McHattie, William B. Davis and Samantha Ferris.